The news we have to report today about Microsoft are not all about nuisances and annoyances, there are good news to convey as well – such as the fact that the Redmond-based software developer is dropping the “only 3 running apps at a time” limitation on Windows 7 Starter. 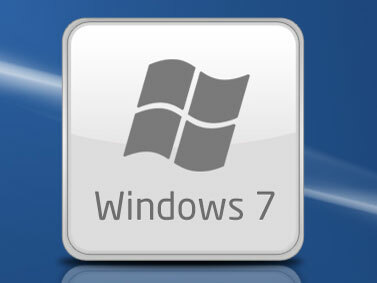 Now if we could only determine the Windows 7 development team to drop some other Win7 Starter limitations – I am talking about the fact that you cannot change the default wallpaper the operating system comes with. The app limitation removal news comes via Paul Thurrott and his SuperSite for Windows. He claims to have exclusive knowledge that Microsoft will not limit Windows 7 Starter users to run only 3 applications at a time. While the info makes sense, at least from a marketing point of view, you should take this with a grain of salt as Microsoft has yet to come out with an official statement (will keep you posted if it does). One other interesting piece of information that is related to the issue at hand has been provided by TechARP – the site has revealed the maximum hardware specifications for netbooks powered by Windows 7 Starter, Windows 7 Starter for Small Notebook PCs, and Windows Home Basic for Netbook PCs (China only). CPU: Single core processor under 2GHz with thermal design power under or equal to 15W (graphics and chipset not included). You should take this info with a grain of salt as well; just as in the case of Paul Thurrott and his exclusive, Microsoft has not confirmed the info brought forward by TechARP, but ZDNet’s Mary Jo Foley says the info “seems plausible”.